It's no secret that networks have gotten into a little bit of "remake frenzy" over the past couple of years. From Girl Meets World to Fuller House to One Day at a Time to the upcoming relaunches of Will & Grace and Roseanne, networks seem desperate to recapture the hits of yesterday rather than coming up with...well, new hits. Granted, maybe that's not totally fair - there are plenty of beloved modern sitcoms that have found audiences, particularly now that streaming services have entered the mix. And yet, networks currently seem obsessed with the past. Business-wise, it makes sense - a service like Netflix is inviting tons of potential new subscribers by bringing back past favorites with built in fanbases like Full House and Gilmore Girls, and network television would be lucky if even half of the audiences of hits like Will & Grace and Roseanne returned to their reboots. (Of course, that was before alternatives like DVR and streaming services effected ratings, but I digress...). But are these relaunches worth your time? Do they actually have potential, or are they just desperate attempts to relive the past? The answer is a bit of a mixed bag. Of all of the relaunches, the most successful creatively has been, by far, One Day at a Time. Not coincidentally, One Day at a Time is the remake that is least like its original series - the cast and characters are entirely new, and the only elements that remain are the show's basic structure (a divorced mom raising her kids) and the theme song (which has been given a Cuban flair). Other than that, though, the series is very different, following a Cuban-American family through issues like sexuality, immigration, and post-traumatic stress disorder. One Day at a Time may be a remake, but it feels wholly original, while still retaining the spirit of classic Norman Lear sitcoms. The other remakes, on the other hand, feel a little bit more like desperate attempts to relive the past. Girl Meets World generally did well as a modern Disney Channel sitcom, but fans expecting it to be a continuation of Boy Meets World may have been disappointed. 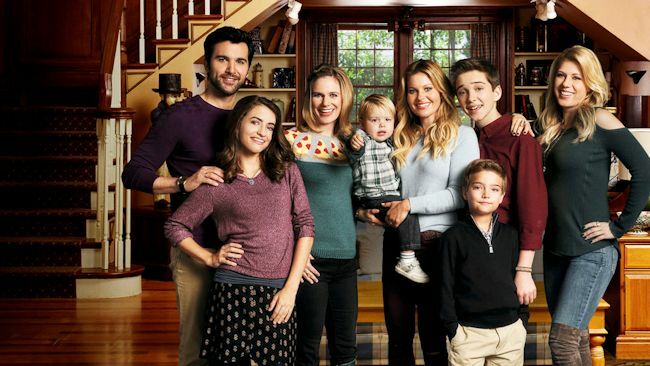 Fuller House likely appeals quite well to Full House fans, but there's not much else beyond "Full House continued" to make it appealing to anyone else. And while the jury is still out on Will & Grace and Roseanne, it'll be an uphill battle for 15 and 25 (respectively) year old shows to seem relevant in today's television landscape. It's fine if networks want to reach into the past for profit - but hopefully the future is more like One Day at a Time, bringing new ideas to an old premise. 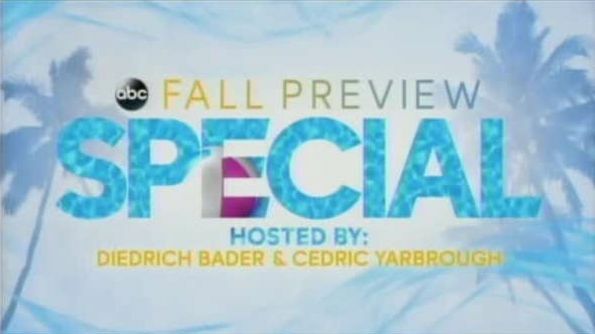 The ABC Fall Preview Special will air Sunday, Sept. 3 at 7:00pm on ABC and will be hosted by the stars of Speechless and American Housewife. Diedrich Bader and Cedric Yarbrough host the special with appearances from the new stars of ABC such as Jason Ritter (Kevin (Probably) Saves the World), Freddie Highmore (The Good Doctor), Brandon Micheal Hall and Lea Michele (The Mayor)! The special has been airing on ABC affiliates already on the weekend. There will be clips and features on all of ABC's new shows, ABC's comedy brand and the final season of Scandal. CBS Fall Preview, hosted by new series stars Iain Armitage (Young Sheldon), David Boreanaz (Seal Team), Mark Feuerstein (9JKL), Shemar Moore (S.W.A.T. ), Bobby Moynihan (Me, Myself & I) and Jeremy Piven (Wisdom of the Crowd), is a primetime special highlighting the Network's six new fall series. It will be broadcast Monday, Sept. 4 at 8:30PM, ET/PT on the CBS Television Network and CBS All Access, the Network's digital subscription video on demand and live-streaming service.